After a couple of years of actively looking for ways to monetize Messenger, Facebook is testing out a tried but true method to app monetization: banner ads. The company recently launched a small test of display ads on the Messenger home screen, just below users' favorite contacts. A handful of users in Thailand and Australia will start to see the ads over the coming weeks. Facebook has worked to increase the interaction between users and businesses on Messenger for several, most notably introducing chatbots. CEO Mark Zuckerberg says that's a key phase before monetization. 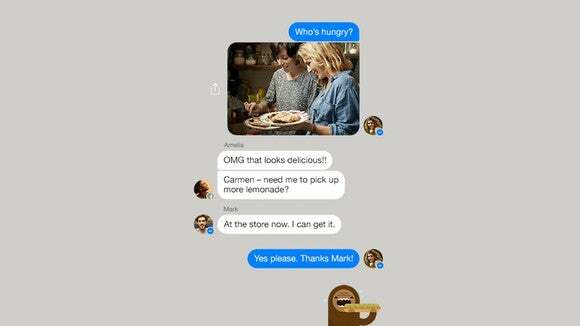 But Facebook is pressing on the gas with Messenger because of constraints in its ad supply on its flagship platform. Messenger may be able to handle the overflow of demand for Facebook ads if the tests prove successful. Tencent has benefited greatly from the popularity of WeChat, a messaging app used widely in China and other parts of Asia. It's leveraged WeChat into a huge revenue source via payments, Facebook news feed-like advertisements, official business accounts, and a whole app ecosystem built on top of the messaging platform.